As the title page of this game says ‘You can enter any time you like but it’s very hard to leave’. 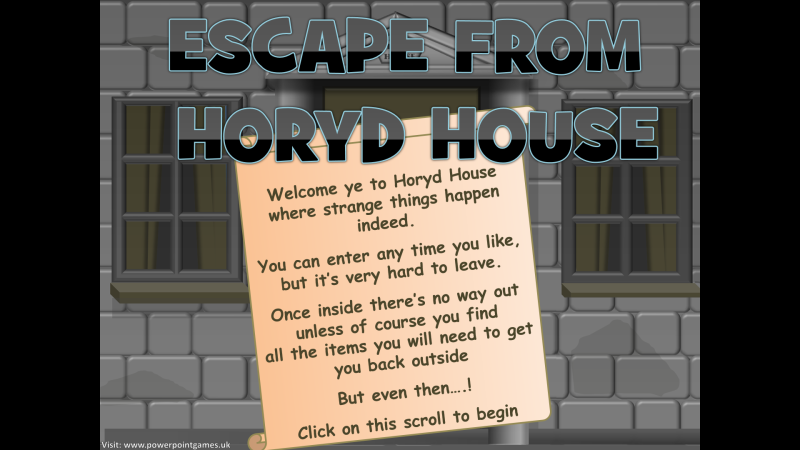 With some startling graphics and animations, this game takes you from one room to another in the eerie Horyd House. 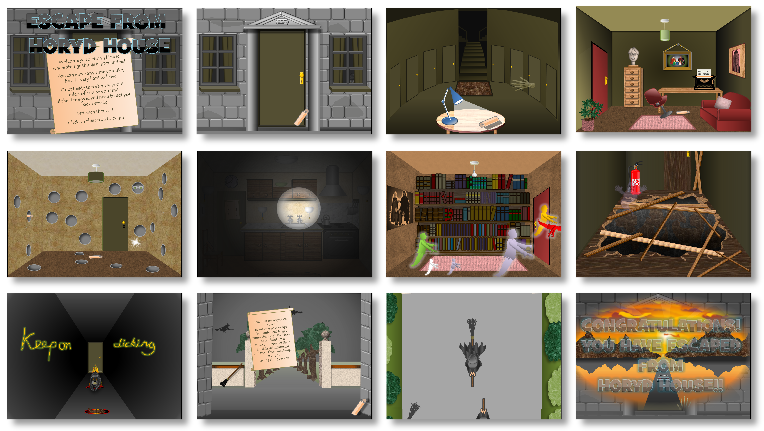 In various rooms you need to find items and carry out tasks that will help you escape from the haunted house and drive off into the sunset – but you need to show some mouse, cursor and clicking skills first. One room features a moving flashlight beam in the dark. I’ve now added a video tutorial on how to make one of these.